8 weeks today*, Texas' 8th studio album 'The Conversation' will be released. In anticipation, this series will look at each of the proceeding albums in turn - charting the changing sound and developing image of the band. I've conducted this exercise (re-listening to back catalogue in order) in the past but it is still interesting to consider the album as part of a larger body of work - and seek to identify the common features and where the changes in sound occurs. From memory of past exercises, this isn't where it's normally assumed to be. It'll be interesting to see if past conclusions still hold true for me. 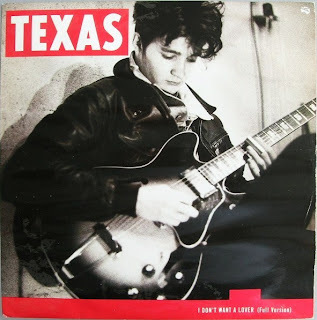 The one real constant in Texas' œuvre are the lyrics and without Spiteri's song-writing skills - and Johnny McElhone's musical abilities - I doubt that Texas would have survived the lacklustre performances of their second and third albums, even given the success of these in continental Europe. But more of that in due course, I'm sure. I still remember making the trip from Dunfermline to Cowdenbeath to spend Woolworths gift vouchers that my Aunt and Uncle had given me for Christmas, the Woolworths in Dunfermline having closed sometime before. I had three options - Depeche Mode's 101, Pet Shop Boys' Introspective and Southside. Texas won out and those precious 12 inches of vinyl started a life-long love affair. 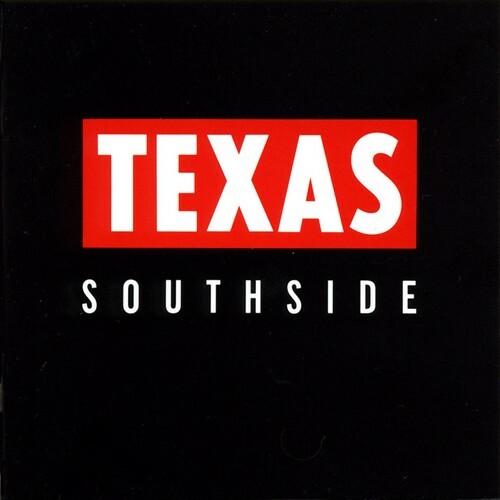 The album starts with what is probably still Texas' best known track: I Don't Want A Lover. The first sound you hear is the twangy guitar solo with a heavy beat kicking in after 30 seconds. Lyrically, it heralds what is Texas' stock-in-trade - songs about relationships from a strong female viewpoint. Sharleen Spiteri may have resisted attempts to market her rather than Texas as a band but there has never been any doubt that the band's voice is hers. The heavy beat and Country and Western guitars continue through Tell Me Why and Everyday Now - although to my ears there's a hint of the more soulful aspect of Spiteri's voice on the latter which would appear on later albums, and on her solo album, Melody. Southside itself is a short instrumental - something which became a feature of future Texas albums - adding the work as a whole whilst being slightly incongruous in their own right. In this case it provides a more mellow counterpoint to the proceeding numbers - ideal for the gentler sound of I Say A Prayer with it's softer guitar-led rhythm. The next couple of tracks - Fight the Feeling and Fool For Love - continue in much the same vein, with Fool For Love succeeding at being pleasant but relatively forgettable. The penultimate track, One Choice, though, is another highlight of the album in the mould of the lead track and Thrill Has Gone.